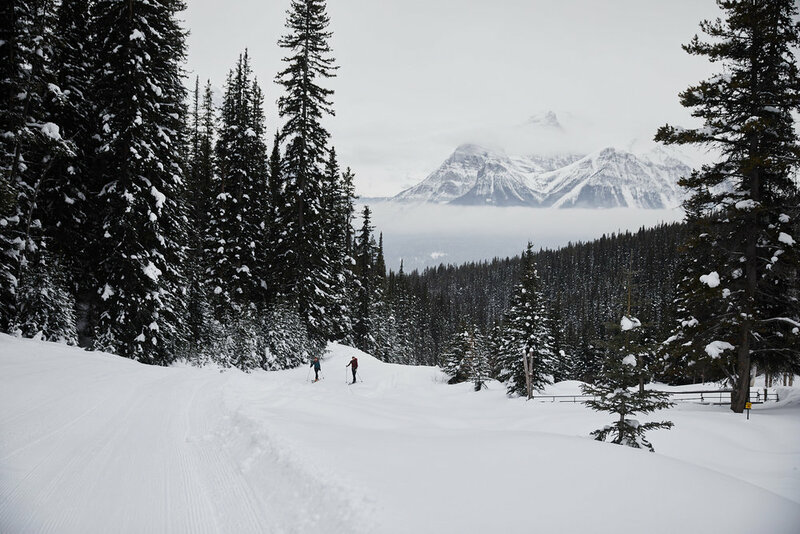 Head up the road to the Lake Louise Ski Area, you will see a road to the right marked “Creek”. About 1 km up the road it is blocked and there is a parking area to the right. Alternatively you can ride the Gondola at the ski area and ski over to Temple Lodge and pick the trail up there. 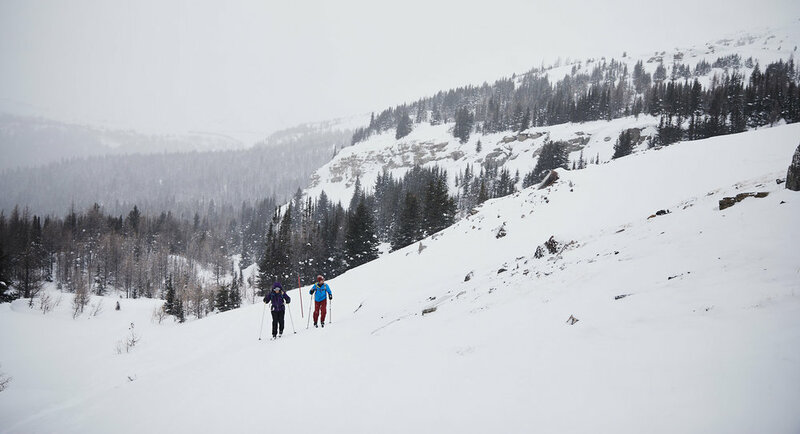 From Creek parking you ski up the ski out to Temple Lodge, the trail passes just above the lodge and is easy to follow to the Halfway Hut. After that you have a rocky climb across a lake, then up the pass on the left. This is usually well skied but can be tough to follow in snow or white outs as you are on terrain with little markings. Over the pass it is an easy slide down to the lodge. 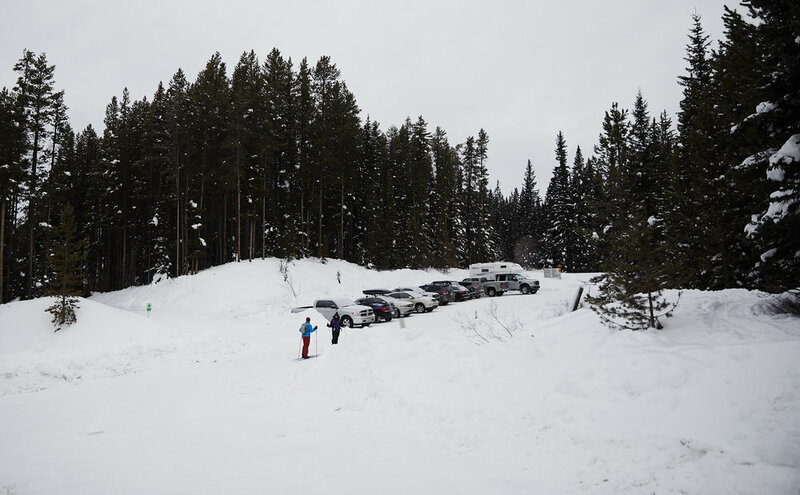 The trail starts in the creek parking lot, where you ski up the ski out towards Temple Lodge. Looking back out at the ski out as we approached Temple Lodge. Temple Lodge will pass by on your left. At this point the trail narrows to a skin track. Jeff attempts and fails to do a 180. As you near the halfway hut, the trees clear out. We made a quick stop at the halfway to have lunch. The walls of the hut were filled with the names of people that had visited, some dating back all the way to 1993. After lunch we made are way up towards deception pass. Once we reached the the top of the pass, the full force of the wind hit us. We decided to call it here and start to head back to the parking lot… but not before having a little Fireball.